For me, there’s something about a classic Remington bolt-action rifle that can’t be beat. Remington 700 has been tried and tested for virtually every type of scenario. And everywhere the Model 700 has been used, it’s come out on top. It’s not a coincidence that this bad boy has been a favorite sharpshooter’s rifle in law enforcement and has seen military action from the Army and USMC in the form of the M24 and M40. 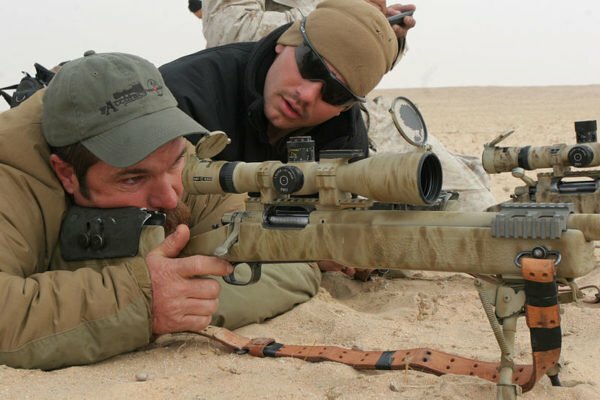 Shooting instructor Todd Hodnett looking through the scope of an M40 sniper rifle. In addition, all Remington Model 700 variants are equipped with Remington’s patented X-Mark Pro trigger system. It’s a good trigger overall with about 3 1/2 pounds of pull weight straight out the box. But the real benefit of the X-Mark Pro is that you can adjust it externally. However…the Model 700 and X-Mark Pro isn’t perfect. In fact, if you own an R700 with an X-Mark Pro made between 2004 and 2014, you should look into getting the trigger replaced. Remington was the target of a class action lawsuit due to safety issues associated with the trigger. The issues have since been corrected, but those older rifles need to be refitted. So, with that out of the way, let’s look at some guns! The Remington 700 CDL is a premium hunting rifle that’s based off the traditional design of the Model 700 which was introduced in 1962. It’s hailed as being an incredibly accurate and dependable rifle, which is why it’s become one of the most favored guns among hunters and collectors. When it comes to an American classic, the CDL can’t be beaten. When talking about the top general hunting rifles, you can bet your bottom dollar that the Model 700 comes up at some point during the conversation. Straight out of the box, the CDL is ready for virtually anything you throw at it. After you mount your favorite scope, you’re ready to go. Also, all CDL models come with an American walnut stock with a satin finish, which really gives the gun an elegant look. The Remington 700 Classic Deluxe SF has the vintage Model 700 design that we’ve all come to know and love. It’s one of the higher-end sub-models because of the stainless steel fluted barrel (hence the name SF). Aside from that, it’s virtually the same as your standard Model 700 CDL. The benefits of the stainless fluted barrel include better shooting consistency and weight reduction. Depending on the caliber of the gun, the CDL SF will weigh anywhere between 7 1/2 to 7 5/8 pounds. The Remington 700 BDL is a deluxe model that’s functionally similar to the CDL but with a slightly different stock. While made out of the same American walnut finish as the CDL models, the BDL’s Monte Carlo design brings a different look by providing a slightly lighter finish, different checkering pattern, and a raised cheek piece. Also, the BDL is one of the few Model 700s to have a sight already built in. The other major difference between the BDL and the CDL models is barrel length – the BDL has significantly shorter barrels. One of the reasons why the Remington 700 SPS Varmint is cheaper than other Model 700 types is because of the stock design. Instead of sticking with the traditional wooden stock that gives the Model 700 a classic look and feel, SPS sub-models are equipped with a synthetic stock. 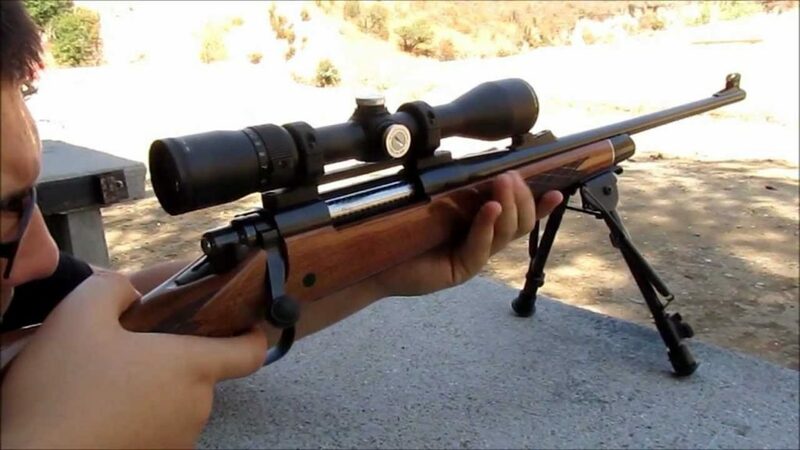 For people who aren’t big on aesthetics, this is a great way to get the quality of a Remington 700 without paying a grand for the gun. Aside from the synthetic stock and matte black finish, the SPS Varmint doesn’t have much else that makes it stand out. All of its barrels are 26” long. 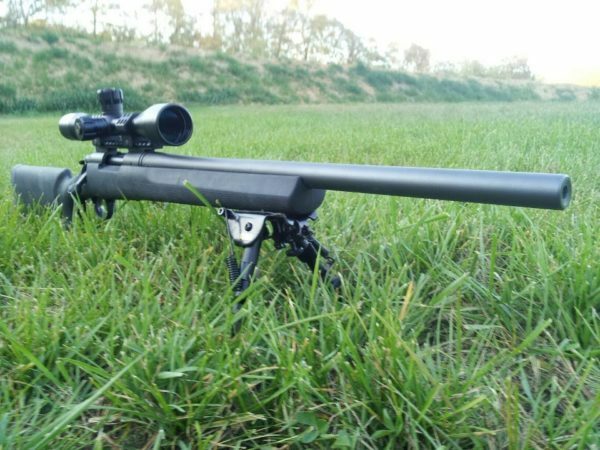 The Remington 700 Varmint SF is essentially the same gun as the SPS Varmint with a couple of minor upgrades. Instead of the matte blue barrel, you get a polished stainless steel finish that gives the gun a sleeker look. Also, the Varmint SF’s barrel has six flutes that are designed to reduce weight and improve cooling. The Varmint SF’s iconic two-tone stock. The biggest difference between the SPS Varmint and the Varmint SF is the dual swivel studs at the front of the SF’s stock, which allow you to attach a bipod with relative ease. Like the SPS Varmint, the Varmint SF also comes only with 26” barrels. The Remington 700 VTR (which means Varmint-Target Rifle) is an excellent long-range rifle that’s designed to give you maximum precision. Smaller than the other Varmint variants, the VTR calibers all come with a 22” barrel, making them easier to carry around. The VTR gives a tactical advantage over other Varmint sub-models. Some other differences that set the VTR apart from the Varmint sub-models include its triangular barrel contour and its ported barrel design. According to Remington, the change in barrel contouring helps to reduce recoil and muzzle rise in VTR sub-models. The VTR’s stock is similar to the SPS Varmint, but with a “Dark Earth” color scheme instead of black. There are also black grip panels over parts over the front of the stock. The Remington 700 VLS is functionally similar to the SPS Varmint, except for one obvious difference… it has a laminated stock. Instead of the matte black synthetic design, the VLS (Varmint Laminated Stock) gives you a laminated woodgrain finish that gives the rifle a vintage look. The VLS with trademark woodgrain finish and Monte Carlo stock design. The VLS also has the same elevated cheek piece design as the BDL model as well as a beavertail fore-end. Aside from that, there’s not much different. All barrels are 26” in length and even the calibers are the same as the SPS Varmint. XCR Tactical in Ghillie Green color. There are a few perks to the Remington 700 XCR Tactical that make it worth the price difference. For starters, the barrel has been given an extra layer of protection with a TriNyte PVD coating that protects it from corrosion and scuffs. So, don’t worry about babying this gun too much. The XCR Tactical also comes with a different type of stock (synthetic) provided by Bell & Carlson. It’s got an olive drab color with black webbing, giving the gun a really menacing look. Some other cool features include its extended grip, dual sling studs on the front of the stock, beavertail fore-end, and a recessed thumb groove just behind the pistol grip for additional comfort when lying prone or shooting off the bench. All calibers of the XCR Tactical are 26” long and have a contoured barrel with three flutes. 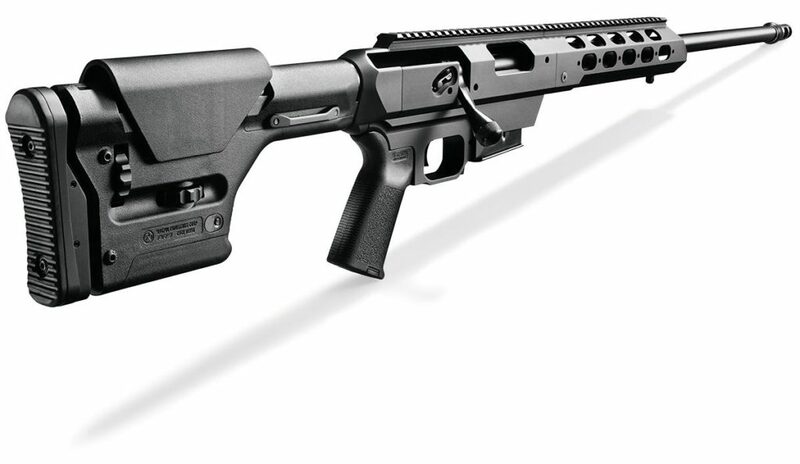 The Remington 700 XCR Compact Tactical is essentially the same as the XCR Tactical…but compact. Instead of a 26” barrel, it has a 20” one and is only available for 308 Winchester calibers, although I’m told that there used to be a sub-model for 223 Remington cartridges as well. The Remington 700 Long Range sub-model supports long-action calibers, making it a great choice for all of the big game hunters out there. It comes with a Bell & Carlson synthetic stock, aluminum bedding block, and an extra swivel for when you want to mount a bipod. Every Long Range version has a 26” contoured barrel with a concave barrel crown. Overall, it’s similar to the SPS Varmint but designed for long-range shooting. The Remington model 700 SPS ($649.00) is pretty much the same as the SPS Varmint except that its barrel lengths and overall lengths are a couple of inches shorter. There are also more calibers available for the SPS than the SPS Varmint. Like the SPS, there are no extra features that make the Remington 700 SPS Compact ($539.00)stand out. It’s a very basic 700 sub-model that’s just a smaller version of the SPS – they even look identical, so no picture! All barrels are 20” long and the only calibers currently supported are the 243 Winchester and 7mm-08 Remington. 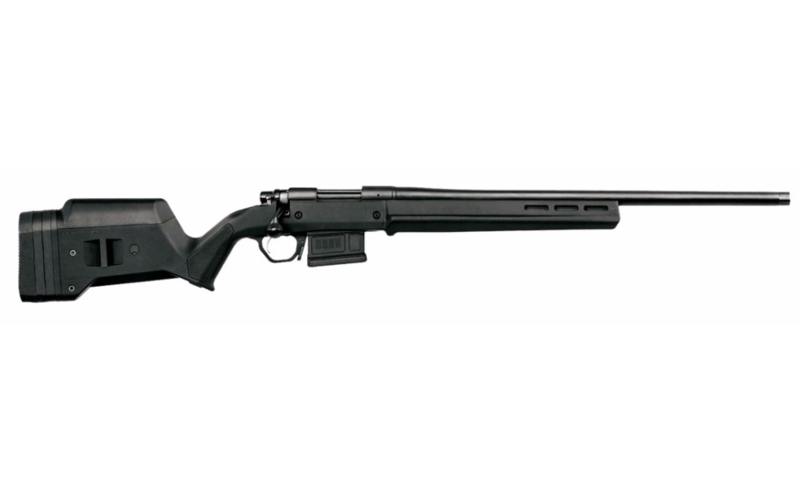 The Remington 700 SPS Tactical ($699.00) is a slightly upgraded version of the SPS which includes a beavertail fore-end, a contoured barrel, and is slightly smaller for added maneuverability. The SPS Tactical also comes with a cool looking Ghillie Green stock. You have the choice between a 20” barrel and a 16.5” barrel, and the current calibers available are the 223 Remington, 308 Winchester, and the 300 AAC Blackout. One of our favorites…how about you? If you want a gun that’s strong enough for military and law enforcement personnel, the Remington 700 Tactical Chassis ($2,900) is the rifle for you. Built with a Magpul adjustable stock and pistol grip, this 700 sub-model delivers 100% consistency with every type of scenario. The Tactical Chassis is a downright beast. The coolest part about this gun is its aggressive design that’s similar to the AR-10. It comes bipod ready, has a Picatinny rail mount on top, and even has an AAC suppressor mount. But the best thing about this gun is its detachable box magazine with a five-round capacity. While the Remington 700 Magpul might be a slightly tamer version of the Tactical Chassis, it’s still an incredible gun. It doesn’t have the rail mount, suppressor support, and bipod swivels like the Tactical Chassis has, but it does have an incredibly comfortable adjustable stock and a detachable box magazine capable of holding five rounds. If you don’t want the excess of the Tactical Chassis, the Magpul variant is the next best thing. Overall, the 700 Magpul is a great rifle to have if you want an optimized long-range rifle without paying an arm and a leg for all of the AR-10-style features that come with the Tactical Chassis. There you have it, folks. That’s the bulk of the Model 700s still in production. Now, remember, the Remington 700 has been in production since the 1960s. That means that a lot of different sub-models have been made during that time, including various calibers that have been added and discontinued over the years. This list is by no means a comprehensive guide of all Model 700s in existence. So, what type of 700 are you shooting? Which one do you want? Let us know in the comments below! And check out more of our favorite guns and gear in Editor’s Picks. I have a 700 bull barrell in 308..after research I’ve found the rifle was made dec of 1995. It is aluminum bedded.prefloated and has a composite stock not plastic..I’ve found this one to be an absolute tack driver. I had to call remington to find out it is a vs model..any info on would be helpful. i would love to see an article about aftermarket stocks and upgrades for the 700, it seems to be a rather large market. How about and caliber by year article on the 700 classic. I’m shooting and 375h&h mag 700 classic that was bout in 2005 in and small town in southern west Virginia. I hunt deer and bear with it here in northern west Virginia. Loaded with Barnes 235grain tsx bullets or speer 225grain hot cores ,makes tracking much easier. I believe that it was made in 1996 but I’m not confirmed this yet….